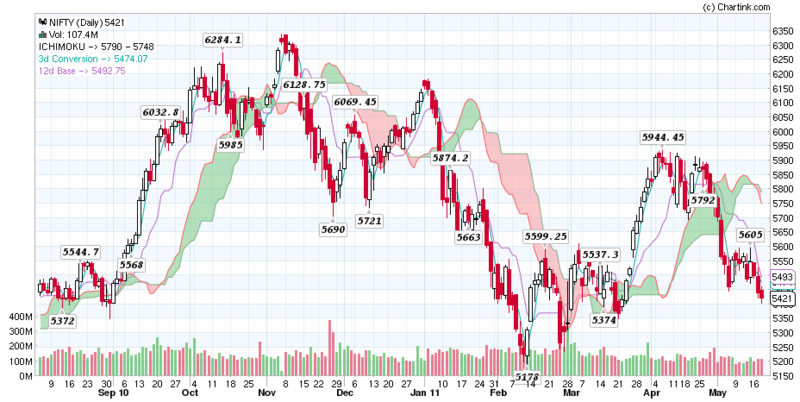 ChartInk provides free EOD charts for NSE and BSE with various Basic technical indicators. 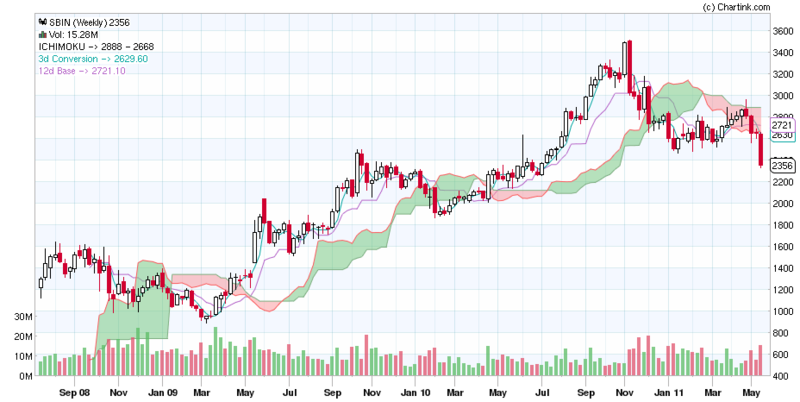 The only thing that differentiates ChartInk from other charting EOD portals like investbulls, icharts…etc. It contains marketcalls favorite Ichimoku Indicator with parameters(3,12,18). SBI EOD Weekly charts shows long term sell signal on Weekly Charts. DO YOU HAVE REAL TIME INTRA DAY CHARTS OF NSE AND BSE SCRIPT WITH VARIOUS TECHNICAL INDICATORS WITH YOU SO WE CAN TRADE EASYLY.